'Tis the season to bring the cuteness. 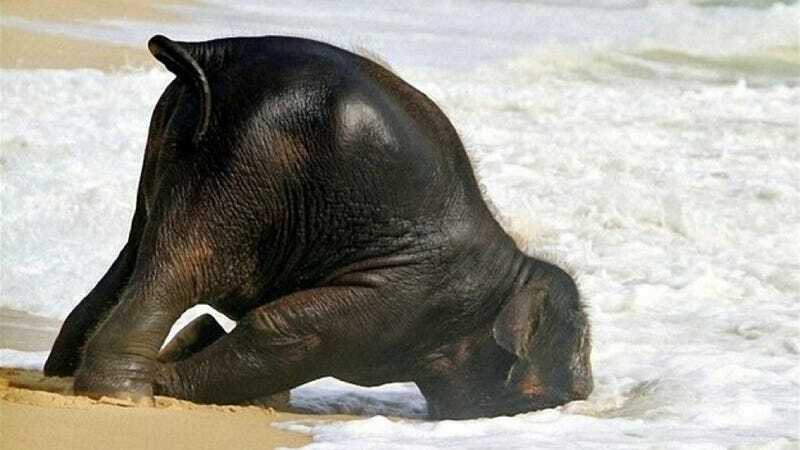 And what's cuter than a baby elephant playing on the beach? Nothing. End of discussion.